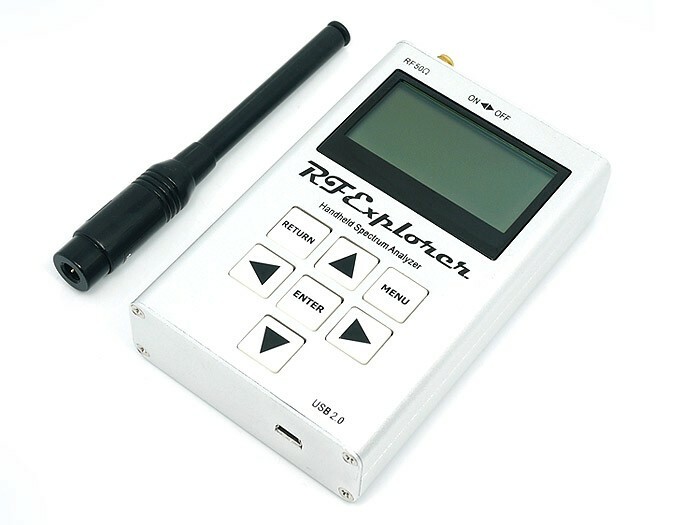 RF Explorer is a handheld digital spectrum analyzer, a very affordable tool for work in all ISM popular frequency bands. 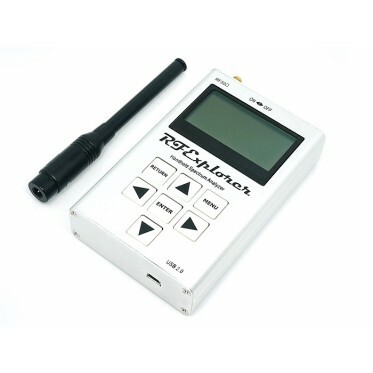 RF Explorer is a handheld digital spectrum analyzer, a very affordable tool for work in all ISM popular frequency bands. It is based on a highly integrated frequency synthesizer which offers high performance, compact size, low consumption and low cost. This model comes with a nice Nagoya NA-773 wideband telescopic antenna.